Illness is still plaguing our house at the moment, but today I wanted to share with you some of my sewing projects of late. 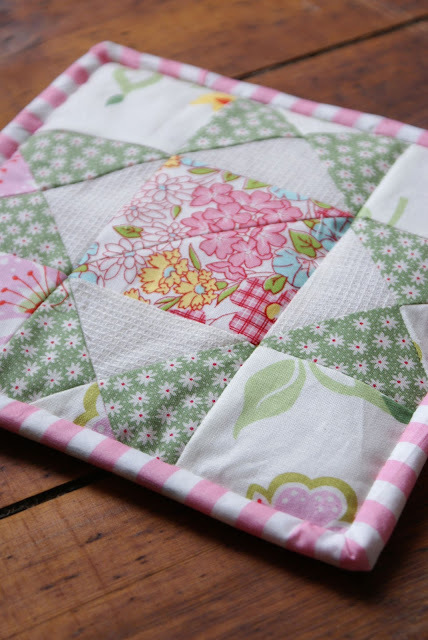 First up, is another mug rug, I've discovered I love making these, it's a great way to practice making quilt blocks without actually having to make the quilt! (though I would love to eventually make one when I get more accurate with my cutting). This is the dresden tablecentre that I made for my mum's Chirstmas gift. She has green kitchen countertops so I picked out some coordinating fabrics from my stash that I thought would match well. I sketched out the flower petal shape myself to use as a template and one of my biscuit tins came in handy for the centre peice as well, all I did then was finish it off with some ric-rac trim, and hey-presto! and lastly, I made a little wall hanging for Robin's nana, though unfortunately I didn't get to snap a pic when it was finished. To finish I handstitched the little hexagons and used linen as the background with a sweet yellow binding. I liked it so much that I might have to make another similar one again for my kitchen. 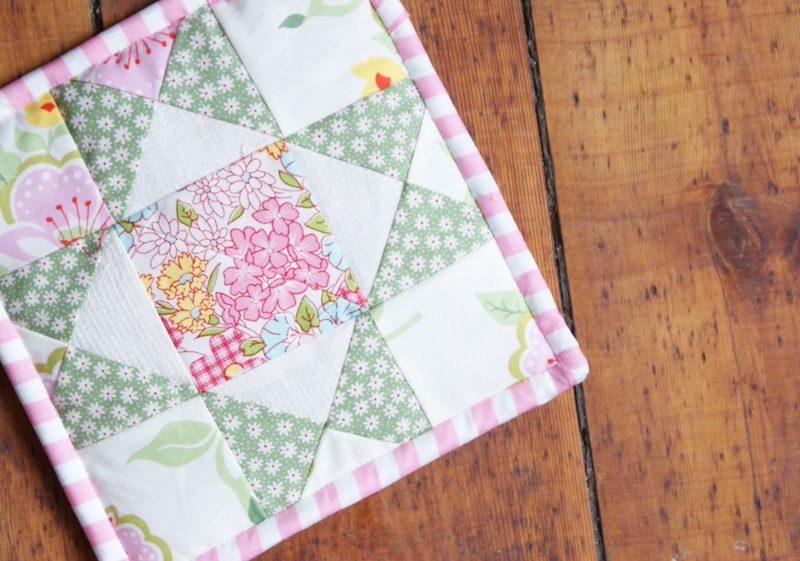 I love the fabrics you used in the dresden tablecentre! Really beautiful! Such beautiful projects. Don't lack the little imperfections keep you from aspiring to bigger things. You can do it! Beautiful projects. I love the first one. A new kitchen increases the value of your home and makes your life easier. The first step to your new kitchen countertops to set a budget. Decide how much money you are willing to spend. This will help drive your other decisions.